The crew takes a break Thursday afternoon on Riverside Drive. 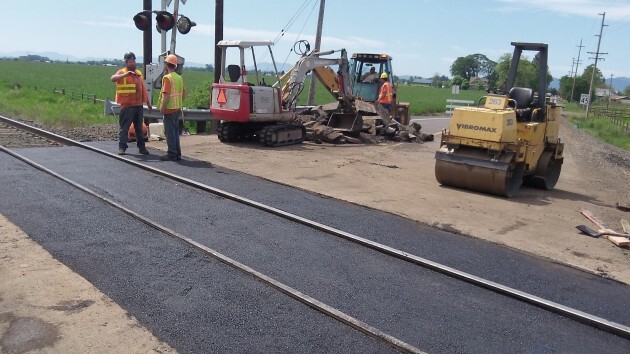 And finally tonight, this update: A crew working for the Portland & Western Railroad spent Thursday tearing out the bumpy pavement at the Riverside Drive crossing and putting down new asphalt. I briefly talked to one of the guys, who said the paving crew came up from Eugene. He thought the road would be ready to be reopened to through-traffic by mid-day Friday.